The automatic steady rest is normally required for tools having a grinding length ratio greater than 10 or 15 times the diameter. The mounting and setup is performed easily and quickly. The steady rest can support the tool from above or from below. The support inserts or half round bushings are clamped by a quick-release system and can be aligned according to the taper of the tool. 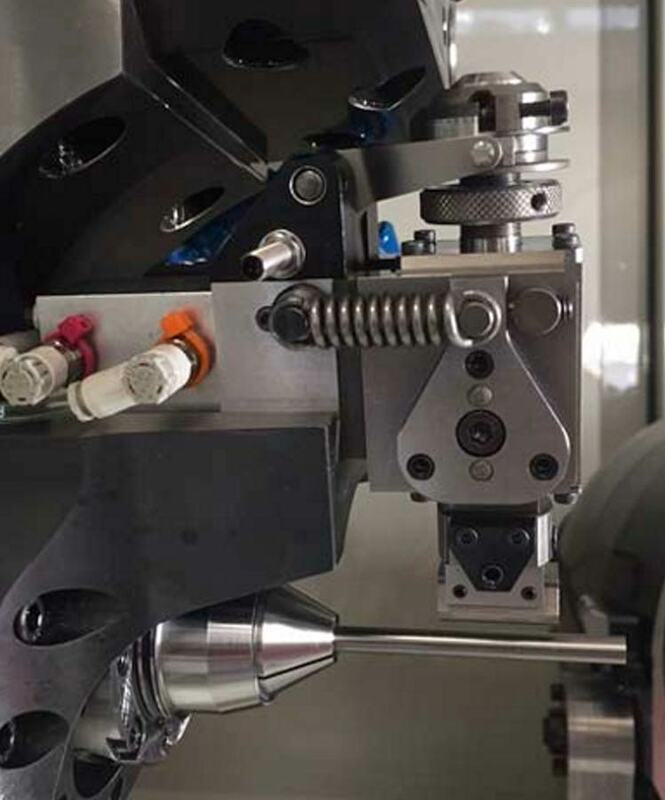 The high frequency spindle is used for the grinding of pockets of inserts and for grinding with small diameter wheels. The HF spindle is mounted in one of the spindle turret positions. The turret can be equipped with up to 4 HF spindles. TTB can also supply pneumatic HF spindles with up to 150,000 rpm for miniature grinding pins. 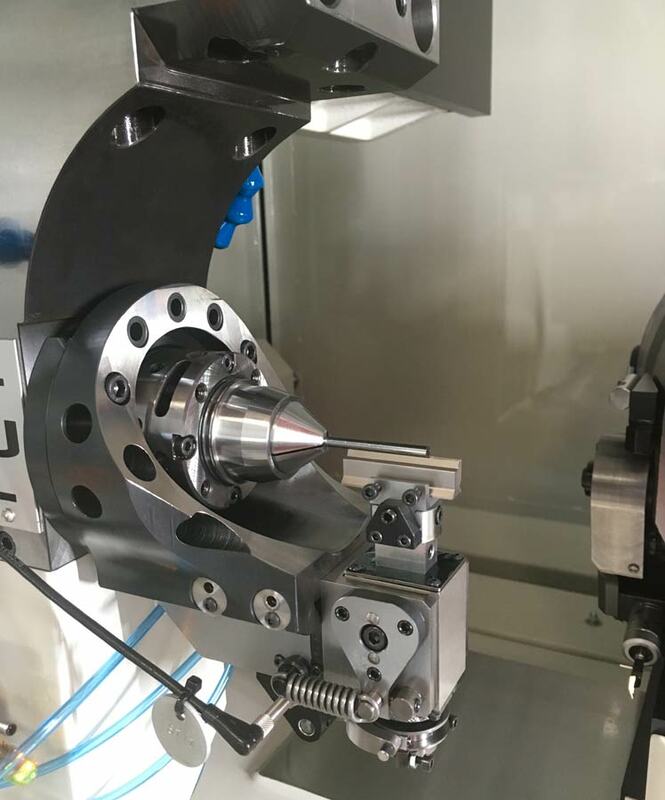 The conversion from a standard to an HF spindle or vice versa takes place in under 3 minutes! The V-block unit for shank guide is useful to improve precise runout. This high-resolution camera unit is used to locate the indexing position of coolant hole channels in blanks. This system is integrated in the loading unit, the necessary measurements are carried out in the non-productive time of processing. NUMROTOplus® has optimal and efficient programming and support functions and includes a powerful 3D simulation and precise collision monitoring. Company-specific technology databases can also be created. This enables optimal adaptation to the most diverse production strategies and the best utilization of customer-specific programming and operating know-how. Software updates are guaranteed throughout the life of the machines.